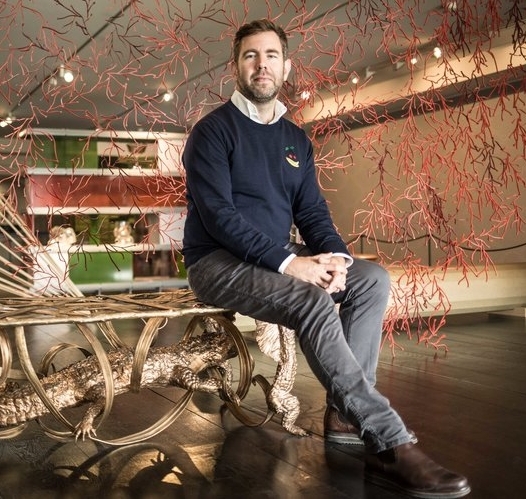 A specialist in decorative arts from the 19th century and a former student of the École des Chartes and the École Nationale du Patrimoine, Olivier Gabet began his career as a curator at the Museum of Modern Art in the City of Paris. In 2005, he joined the Musée d’Orsay and was entrusted with the decorative arts 1850-1900 collection. In 2008, he joined the Agence France-Muséums, which piloted the future Louvre Abu Dhabi project, initially as curator in charge of decorative arts, then as adjunct scientific director. In 2013, Olivier Gabet took over as Head of the Museums of Decorative Arts which housed the decorative arts, design, fashion, advertising textiles and graphics collections covering the period from the Middle Ages to the present, as well as the Musée Nissim de Camondo. Since 2013, he’s curated the exhibitions AD Intérieurs 2014, Piero Fornasetti – la Folie pratique, Korea Now! and Esprit du Bauhaus.